The recent political news cycle has been nothing if not lively. Are you concerned about how your taxes, healthcare, and trusts might be impacted by changes in our government under the new administration? If so, you are not alone: Considering how many twists and turns the first 100 days of Trump�s presidency has provided, many Americans are wondering what�s happening with estate planning and what they can do to secure their future. While there have been several proposals that may impact your estate, no significant changes have already taken effect. Let�s begin with a quick look back at these first 100 days and consider what they�ve meant for the U.S. tax and healthcare landscape. Then we�ll discuss strategies you can use to make sure your estate plan is future-proof. The Affordable Care Act, known as ACA or Obamacare, has been a hot topic on both sides of the aisle in the past few months and years. The American Health Care Act, which is the House Republican�s proposed replacement bill for the ACA, recently passed the House of Representatives, but still must go through the Senate before it can be enacted into law. At this point, it remains to be seen what the Senate will do and how this administration will ultimately change the healthcare laws. The federal estate or �death� tax doesn�t come into play for most Americans, but those with high-value estates are currently taxed at 40 percent for the value of their estate above $5.49 million ($10.98 for a married couple). Repealing the death tax garners lots of attention in the current administration, with hints at possible headway being made all the time. There are numerous proposals in Congress, and it�s currently unclear whether death tax changes will be a separate law or included as part of a larger tax reform bill. We�re watching the situation and let you know as soon as something more definitive presents itself. 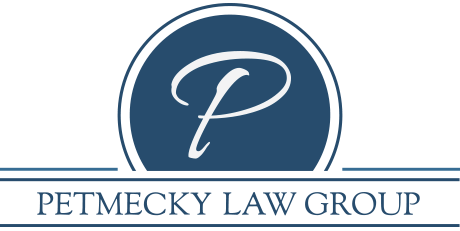 Long-term care: Appointing healthcare providers and healthcare powers of attorney in case you become incapacitated so that it doesn�t become the court�s decision, resulting in guardianship or conservatorship. Planning with flexibility is now more important than ever. No one can know exactly how proposed changes to our tax and healthcare systems will shake out in the coming months and years. In addition to the new administration�s effect on estate planning, the coming elections in 2018 and 2020 may provide even more changes to tax and healthcare policy. That�s why it�s more important now than ever to create a plan that has enough flexibility to roll with the punches. Through tried and true estate planning measures, we can make sure your plan is both flexible enough to handle any changes that come your way and sturdy enough to weather them. In addition to providing wills, trusts, powers of attorney, and other core documents making up your robust estate plan, we will continue to keep our fingers on the pulse of the legislative developments that will matter to you most.